This is our last colour pop for 2014 so I've decide to do multi colour... a rainbow of colours! 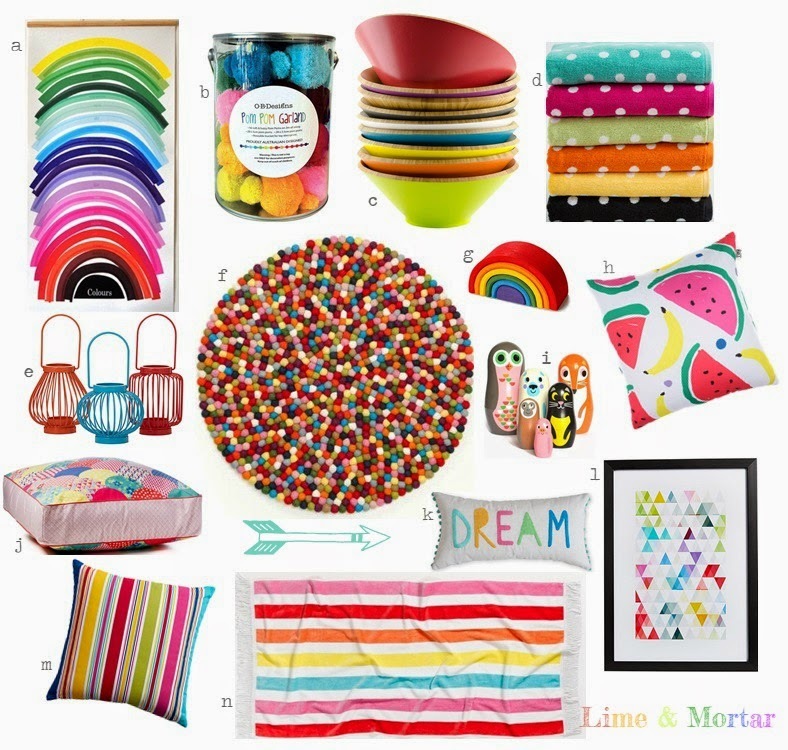 I love bright colours and look forward to sharing my kids rainbow activity area in the new year. Bright colours are not only for kids bedrooms. Have fun with colour in your home!